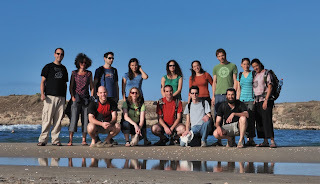 The lab is part of Nir Friedman's research group. The lab has dual affiliation with the School of Engineering and the Alexander Silberman Institute of Life Sciences, both at the Hebrew University. Our general interest is to understand molecular machines that are involved in transcriptional regulation, and in particular to understand how specific response of different genes is achieved. We plan to use the Baker's yeast as our model organism for our research. Deliveries - two new robots!